On April 26th 2011 at the meeting room of Patong Municipality, Mr.Weerawat Janpen, a Vice Governor of Phuket, presided over the meeting of the Patong Traffic Zoning Committee. There were Mr.Pain Keesin, the Mayor of Patong Municpality, Chairat Sukhaban and Prasarn Yodtor, the two deputy mayors, the committee members, the representatives from Kathu Police Station, Phuket Transportation Office, Patong Service Car Association, and Patong Car Rent Club all in attendance at the meeting. 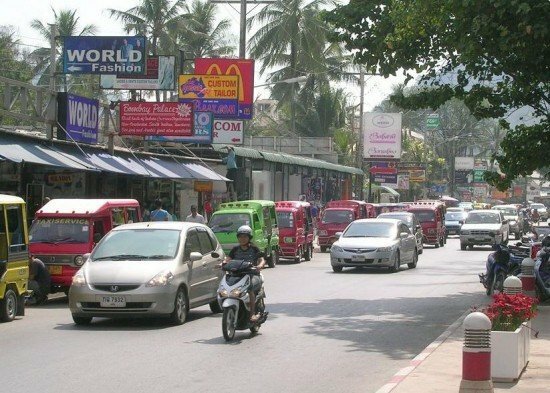 In the meeting, there was an agreement to enforce the one-way driving on the left in the area of Patong. Formerly, to solve the traffic problem, one-way driving on the right had been enforced. However, driving on the right lane did not match with Thai law and the residents did not get used to this driving system. Consequently, the left lane one-way driving should be the better solution. Moreover, there was a discussion about other solutions for the traffic problems in Patong e.g. tunnel construction which will be the long term solution to this problem. Apart from this, the vice governor suggested the police to be more strict on traffic laws in order to reduce accidents.